If Yellow and Orange were full of surprises, green was a revelation for me...which in turn was a nighmare for Nichole. She's never fully forgiven me for loving "ugly" yellow-greens. Between that ever-growing love and our mutual enjoyment of bluer greens and teals, this is one of the larger archives. 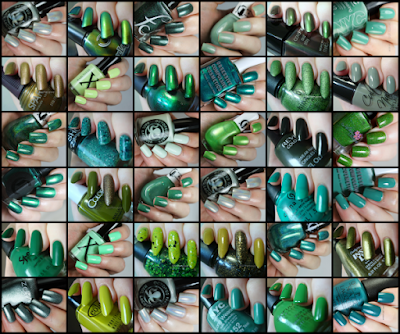 To view the full Green archive, click here or on the collage below.